The 'European Inorganic Membrane Research Alliance' (EIMRA) aims to facilitate the transition from basic research to applications. In this way, EIMRA will contribute to the worldwide effort to enhance industrial efficiency and reduce carbon dioxide emissions. 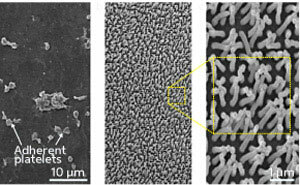 A solution-phase process has been developed by CNM users from the University of California at Riverside, working collaboratively with the Nanophotonics Group, for synthesizing stable multifunctional colloidal particles composed of a superparamagnetic Fe3O4 core, a gold nanoshell, and a mesoporous silica outer layer. All optics research requires precise alignment of optical components to ensure that light passes efficiently from one element to the next. At the micro-scale, however, the process is much more delicate and complicated. 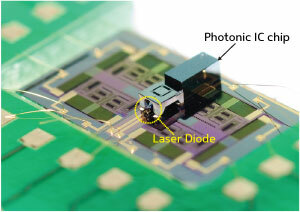 Now, an alignment mechanism integrated onto a silicon chip to allow quick and cheap optical optimization has been demonstrated. Researchers have discovered that adding miniature topographical features to polymer surfaces can reduce blood coagulation and improve the hemocompatibility, or blood compatibility, of biomaterials. 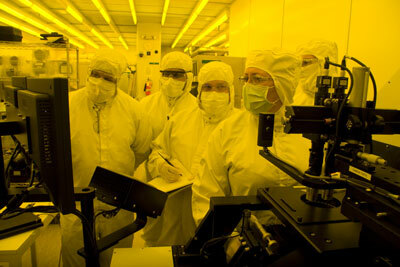 Arizona State University's NanoFab facility is teaching industry ways to manufacture better products and helping engineers and scientists develop new technologies. 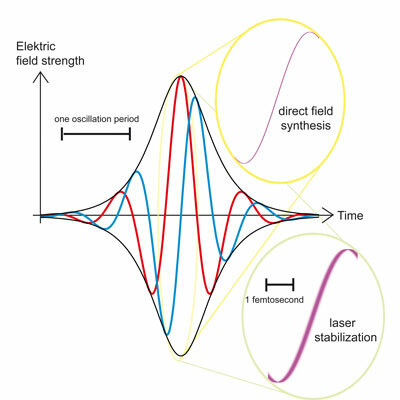 Scientist at the Max Born Institute for Nonlinear Optics and Short Time Spectroscopy (MBI) in Berlin, Germany have demonstrated timing control with a residual uncertainty of 12 attoseconds. In a single day, a solitary grad student at a lab bench can produce more simple logic circuits than the world's entire output of silicon chips in a month. So says a Duke University engineer, who believes that the next generation of these logic circuits at the heart of computers will be produced inexpensively in almost limitless quantities. Physicists at McGill University have developed a system for measuring the energy involved in adding electrons to semi-conductor nanocrystals, also known as quantum dots - a technology that may revolutionize computing and other areas of science. CEA-Leti, a co-sponsor with IEEE France Section of the 2010 IEEE International Conference on IC Design and Technology, said today the June 2-4 event will provide an opportunity for the traditionally separated design and process-technology communities to share ideas on product development and manufacturing. SEMATECH, a global consortium of chipmakers, and JSR Corporation, an advanced materials supplier to chip-makers and others, and its U.S. operation, JSR Micro, Inc. announced today that it has become the newest member of SEMATECH's Resist Materials and Development Center (RMDC) at the College of Nanoscale Science and Engineering (CNSE) of the University at Albany. CEA-Leti today announced the launch of the TARGET-PDT project designed to increase the effectiveness of photodynamic therapy (PDT) for treating cancer by developing a novel nano carrier-based approach. 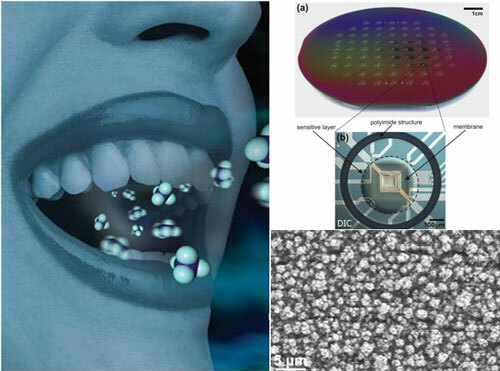 ETH-Zurich researchers have developed a new kind of sensor that can immediately gauge whether a person is suffering from type 1 diabetes upon coming into contact with their breath. 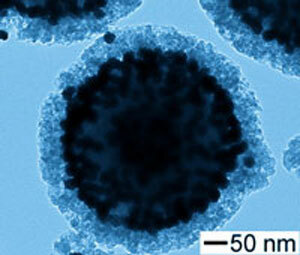 The NanoKTN is pleased to announce that a PhD student and member of the NanoKTN has been awarded the Roscoe Medal, presented by representatives of RSC and AgChemAccess Ltd, at the prestigious SET for Britain event, held at the House of Commons in March 2010. Do you want to meet like minded business innovators in the nanotechnology field? The NanoKTN, in partnership with The University of Nottingham's Nanotechnology and Nanoscience Centre, is holding its next finance event hosted by BioCity on May 19. 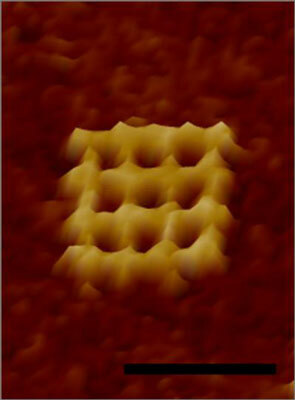 Researchers at AIST succeeded in extracting light from a semiconductor into air with the highest efficiency. For this purpose, ridges were fabricated on a semiconductor surface, and then, the fabricated ridges were coated with a silicon dioxide layer.